For any Oregon Scholastic Players looking for inspiration, see how hard work and dedication can bring great results! Congratulations, Roshen! 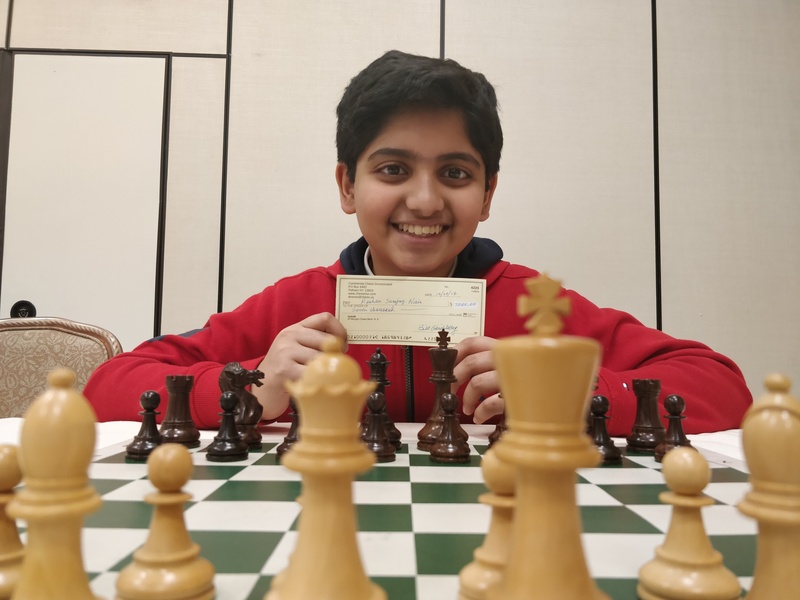 Roshen won FIRST place at the 28th North American Open at Las Vegas in December 2018 in the U2100 section. An undefeated score of 6.5 (from seven rounds) made him a clear winner for the $7000 prize money and also helped him cross USCF 2100 rank ceiling. Roshen also teamed up with Sophie Velea (from Washington State) to win FIRST place in the mixed doubles section each winning $750 team prize. Roshen also played in the Blitz tournament (Open Section) and tied for FIRST place in U2100 winning $165. This was Roshen’s first USCF rated Blitz tournament. Earlier in November 2018, Roshen won FIRST place at the WASHINGTON Class Championships (in the EXPERT section) by a score of 5/6 (4 wins and 2 draws). Also in November 2018, Roshen won SECOND place at the OREGON Class Championships (in the MASTER/EXPERT section) by a score of 2.5/4 (2 wins, 1 draw & 1 loss). 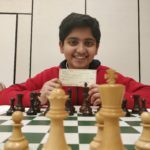 His performance also helped him qualify for the Oregon Chess Federation’s 2019 Oregon Closed Tournament. 28th North American Open results can be viewed using the following links.